This romantic and trending Heart-Shaped Diamond Pendant is gorgeously rendered in IGI Certified 14k gold and studded with sparkling icy white diamonds. It dangles beautifully from a gold chain. Heart is a symbol of love and joy. A classical and charming Heart Diamond Pendant is the best jewelry for all occasions and outfits. 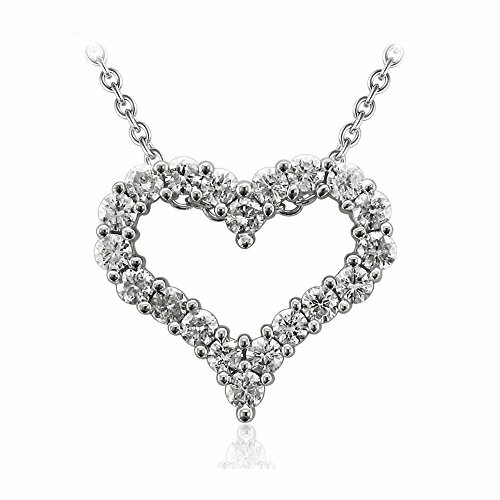 Nothing can be lovely than this beautiful heart diamond pendant. Adult Signature Required upon delivery. Please arrange an eligible recipient at home to receive your order. Thank you!!! This romantic and trending Heart-Shaped Diamond Pendant is gorgeously rendered in 14k gold and studded with sparkling icy white diamonds. It dangles beautifully from a gold chain. Heart is a symbol of love and joy. A classical and charming Heart Diamond Pendant is the best jewelry for all occasions and outfits. 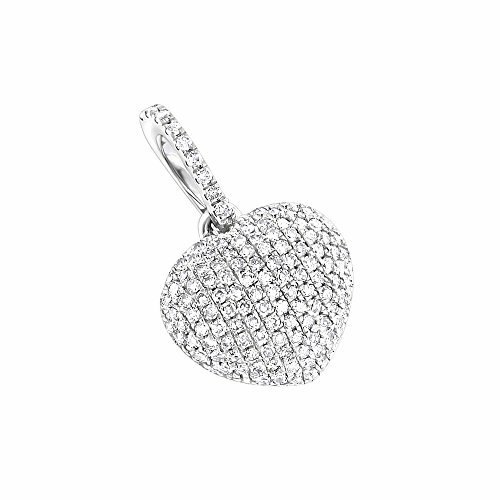 Nothing can be lovely than this beautiful heart diamond pendant. Adult Signature Required upon delivery. Please arrange an eligible recipient at home to receive your order. Thank you!!! 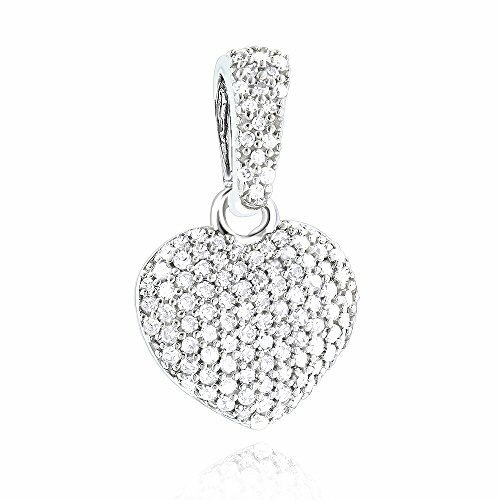 This Small Pave Diamond Heart Pendant in 14K Gold weighs approximately 2 grams and showcases a fully encrusted design. Featuring a 3-D puffed heart style and a highly polished gold finish, this 0.3-carat diamond heart pendant necklace is available in 14K white, yellow and rose gold; and makes a perfect gift for any occasion. This gorgeous and beautiful Diamond Necklace is the most perfect diamond jewelry for celebrating and sharing one of the most special dates in your life with your love one. It is set beautifully in 14k gold with sparkling fiery icy white diamonds. This is very important and memorable diamond jewelry will be treasured by you and your love one forever together. Adult Signature Required upon delivery. Please arrange an eligible recipient at home to receive your order. Thank you!!! 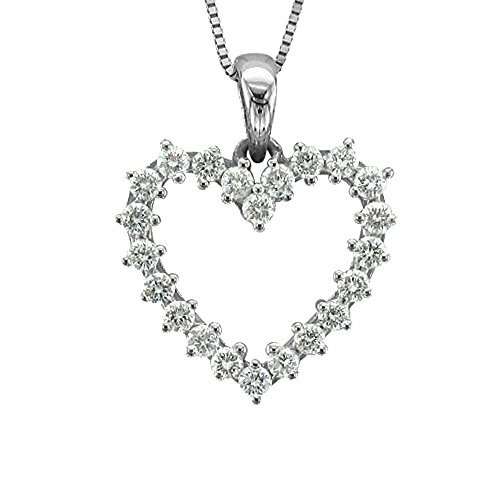 This romantic and trending Heart-Shaped Diamond Pendant is gorgeously rendered in 14k White gold and studded with sparkling icy white diamonds. It dangles beautifully from a gold chain. Heart is a symbol of love and joy. A classical and charming Heart Diamond Pendant is the best jewelry for all occasions and outfits. 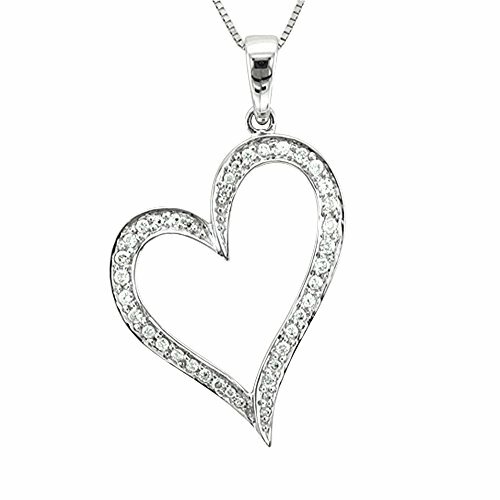 Nothing can be lovely than this beautiful heart diamond pendant. Signature Required upon delivery. Please arrange an eligible recipient at home to receive your order. Thank you!!! These romantic and trending Heart-Shaped Diamond Pendant is gorgeously rendered in 14k gold and studded with sparkling icy white diamonds. It dangles beautifully from a gold chain. Heart is a symbol of love and joy. A classical and charming Heart Diamond Pendant is the best jewelry for all occasions and outfits. 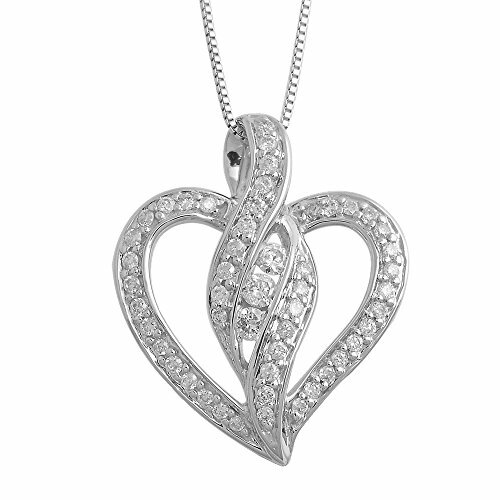 Nothing can be lovely than this beautiful heart diamond pendant. Adult Signature Required upon delivery. Please arrange an eligible recipient at home to receive your order. Thank you!!! 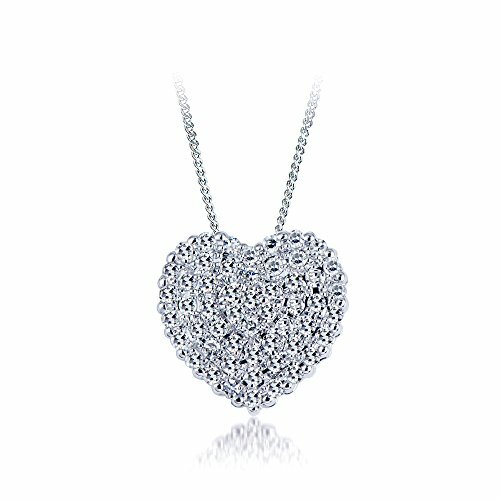 Looking for more 14k White Gold Diamond Heart Pendant similar ideas? Try to explore these searches: True Bypass Reverb Pedal, China Gold Panda, and Scoring Table. Look at latest related video about 14k White Gold Diamond Heart Pendant. Shopwizion.com is the smartest way for online shopping: compare prices of leading online shops for best deals around the web. 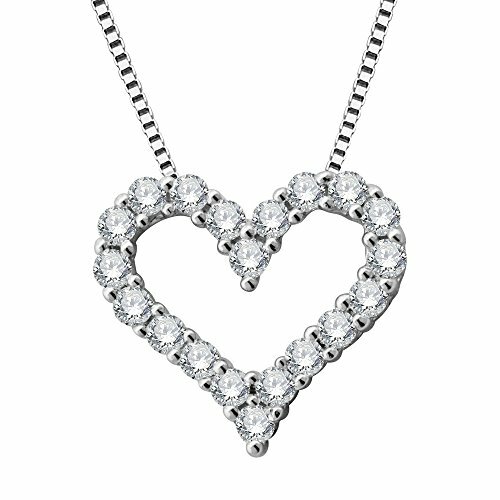 Don't miss TOP 14k White Gold Diamond Heart Pendant deals, updated daily.